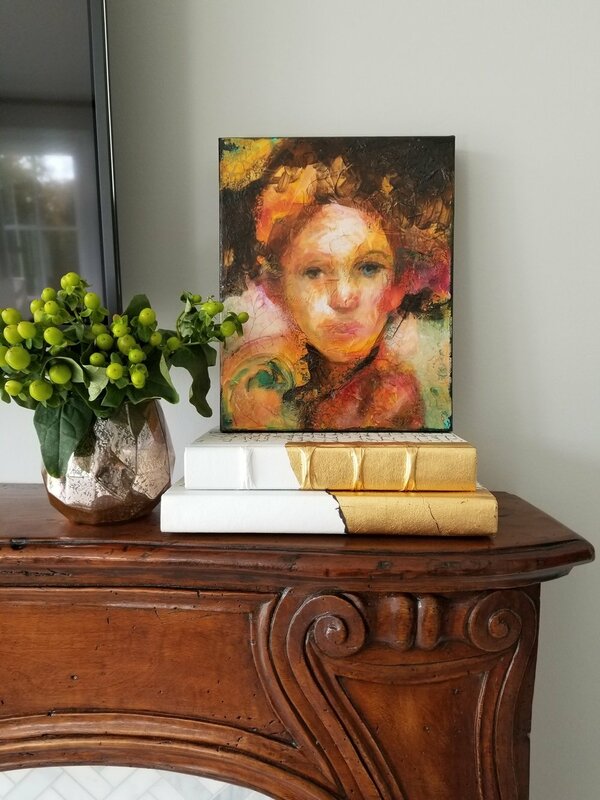 Between now and November 12th, you can find a few of our talented artists' works on display at the ASID MN Showcase House on Lake Minnetonka! We’re so thrilled to be included in the Twin Cities’ annual Interior Design event presented by ASID MN and Mpls St. Paul Magazine. This year ASID MN is featuring a 13,000 square-foot modern chateau, built by John Kraemer & Son. The chateau has been transformed into an exciting interior design collaboration with 25 rooms to explore, and our community’s premiere designers have put their personal spin on each one. When Kim Tucker, of Tucker Thomas Interior Design and Jen Horstman, of Lenox House Design, came together to create a beautiful modern Junior Suite with some traditional accents, they found more than enough options for art at the Veronique Wantz Gallery. They finally settled on three paintings by Valerie Grondin, Tanja Sell, and Allison Johanson. These works don’t simply blend into the background, they set the tone for each space, helping to bring the decor and the overall design intentions to life. If you don't get a chance to make it over to the ASID Home Tour, have a look at how Kim and Jen's room turned out in the photos below!